Latest Football News, Soccer Results, Goals, Transfers talks and Rumors: So why won’t Manchester City go for Jürgen Klopp as their manager? So why won’t Manchester City go for Jürgen Klopp as their manager? 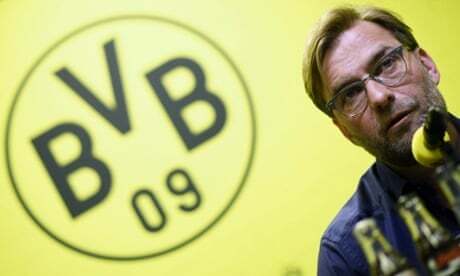 As the manager who led Borussia Dortmund to successive Bundesliga titles and a Champions League final, Jürgen Klopp is surely worthy of consideration as Manchester City ponder their next move. Except, for the moment at least, he is not thought to be so. The information from the Etihad Stadium is that any links made between the champions and Klopp should be ignored. Yet here the people who run the club may be passing over a prime candidate to lead a team whose holy grail is the Champions League and which views the first-team manager as vital to its inclusive ethos. 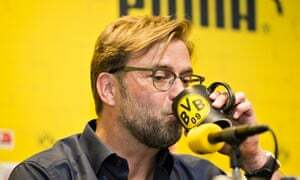 When Klopp leaves Dortmund he will have spent seven years building them into a club with a production line of home-reared stars who include Mario Götze and Marco Reus. This ticks the box marked “holistic”. To beat Bayern Munich’s financial muscle and twice win the German championship means City can also have no doubt of Klopp’s status as an A-list manager. And in steering Dortmund to the European Cup final two years ago, where they lost 2-1 to Arjen Robben’s late goal for Bayern, Klopp proved his ability to mix it with the continental elite. This last quality would seem the most attractive to City given the failure by the Abu Dhabi hierarchy, led by the chairman, Khaldoon al-Mubarak, to locate a coach with the managerial nous to lead the club to Champions League glory. Five years into the Sheikh Mansour project and City’s progress in the competition has stalled. After Roberto Mancini was twice unable to take the club from the group stage, Pellegrini has guided City into the last 16 in consecutive campaigns and then run out of ideas. In the departments of tactics and motivation, the Chilean appeared a busted flush. These two areas have never been an issue for Klopp. If next term’s XI should include Sergio Agüero, David Silva, Joe Hart and Vincent Kompany plus an injection of hungry young star players – Raheem Sterling, Ross Barkley and Kevin De Bruyne are all of interest – Klopp would seriously fancy his chances of taking City into the quarter-finals, at least. If Pellegrini is sacked – and there is no guarantee this will happen – City are also cool on Real Madrid’s Carlo Ancelotti, Atlético Madrid’s Diego Simone and Napoli’s Rafael Benítez as his replacement. But unlike with Klopp, the prevailing reason is the view at the Etihad that none of these men produce sides that play cultured football. Klopp, though, does, as his teams like to press high, recycle the ball quickly and move forward at pace. So, if not Klopp, why not? City may be holding out for Bayern’s Pep Guardiola, though he appears unavailable until the summer of 2016 after stating the wish to serve all three years of his contract. City may also hope that Guardiola could yet come on the market this close season, maybe if a serious meltdown occurs in the Champions League – Bayern play Porto on Wednesday evening in the quarter-final first leg –or if relations between the Spaniard and the Bayern executive cool. This all, though, seems a rather tenuous strategy to adopt. Perhaps the human angle is the true, defining factor. Two years ago, Pellegrini was hired as the antidote to Mancini, who was disliked behind the scenes and who thought nothing of clashing with his nominal bosses, the chief executive, Ferran Soriano, and the sporting director, Txiki Begiristain. Klopp is more Mancini than Pellegrini. He would fit instantly into the Premier League cabaret of managers who are the prime media attraction in this age of player inscrutability. But as a maverick coach who oozes charisma and who can occasionally veer off-message, the excitable German just may not fit the Abu Dhabi vision of the man who should replace the Chilean, despite Klopp’s impressive track record.